This book introduces the reader to the fascinating world of modular forms through a problem-solving approach. As such, it can be used by undergraduate and graduate students for self-instruction. The topics covered include \(q\)-series, the modular group, the upper half-plane, modular forms of level one and higher level, the Ramanujan \(\tau\)-function, the Petersson inner product, Hecke operators, Dirichlet series attached to modular forms, and further special topics. It can be viewed as a gentle introduction for a deeper study of the subject. Thus, it is ideal for non-experts seeking an entry into the field. 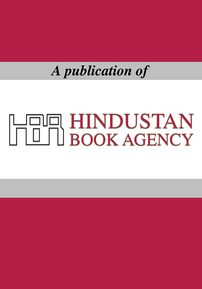 A publication of Hindustan Book Agency; distributed within the Americas by the American Mathematical Society. Maximum discount of 20&percnt; for all commercial channels. Students and research mathematicians interested in modular forms.